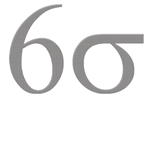 The applicability of Six Sigma certification is overwhelming and is useful in most aspects of business. It can be applied to improve sales, marketing, logistics, design and development, production and many other areas. In the recent years, the Human Resource department and Six Sigma certification have proven to be two formidable areas that can take the business to greater heights. HR professionals play a vital role in the Six Sigma initiatives undertaken at the organizational level. HR professionals may be involved right from the beginning of the project. They have an eye to select suitable people for a given job and can be great contributors to the internal benchmarking. They are in a position to understand resistance to change and can undertake activities to ensure successful implementation of the project. In simple terms, internal benchmarking is comparing one specific operation to another similar operation in the organization. It proves to be beneficial to identify the CTQs (Critical to Quality) and HR professionals are efficient to identify factors critical to the employee satisfaction levels. HR professionals can contribute greatly towards defining and designing metrics that are valuable to the organization. Six Sigma certification functions best on systematically designed and relevant metrics. HR professionals can contribute towards identification and documentation of the best practices at various process levels. Scorecards can be used to keep track of the project’s success. HR personnel are skilled in maintaining scorecards for their own department. Though they may not have the experience to undertake Six Sigma in the entire organization, they may use the knowledge to develop a scorecard for a particular Six Sigma project. This helps to create a balance in long and short-term goals, as well as the financial and non-financial measures that are aimed at organizational improvement. The primary activity of the HR department is selection of the appropriate people. They can be useful to select the right ones, who are suited to undertake different responsible positions of a Six Sigma project. They are the major contributors to the development of the Six Sigma competency model. They have to undertake efforts and develop Six Sigma retention strategies, job descriptions, and reward and recognition policies. The biggest hurdle in Six Sigma implementation is the resistance to change. It may be because of a lack of knowledge about Six Sigma certification. Often, changes that are being planned are seen as a threat to the current status of those who are affected. Others may see it as a competition for resources and organizational powers. Senior management may oppose it due to financial reasons. If the HR department considers this resistance to change, they would address their fears and clear the doubts in order to manage the resistance to a fairly large extent. They would create a change management plan that deals with all such issues, which may be barriers to the success of a Six Sigma project. HR would also help to plan constantly to undertake quality initiatives and continuous improvement programs for the overall improvement in the organization. Six Sigma projects can benefit from the involvement of HR at various levels. They can team up to ensure the success of the initiative at all levels of the organization.